Never judge a Martial artist with their Belt. 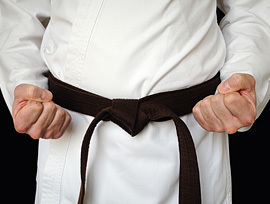 We don't just Trained people for Karate and Martial Arts. We prepare each individual to fight against any problem in life. It’s an initiative taken by a group of IT Gradates who are working in Public and private Sectors. Our determination is to take martial arts at its highest level. Our key goal is to provide basic self-defense training to needy people including girls children’s and senior citizen. 5:30 AM to 7:30 AM Basic Training and Fighting Art for Working People and Senior Citizens. 5:30 PM to 7:30 PM Basic Training and Fighting Art for Students and Kids. Advance Training and Training Camps of Martial Arts for All as per Schedule. Friends Karate Club Organizes a Recognition and Grading Camp for the Students who deserves next level. Recognition always done our Guest Judges without any partiality. Even each grading can be seen online on our website. Each Art takes a particular time to complete its Course. Grading before that can only be an exceptional case. We do focus on fighting style without weapon. Every individual poses a weapon itself which can be use as per need. We also focus on Weapon Training to train individual to Defense theirself using weapon.